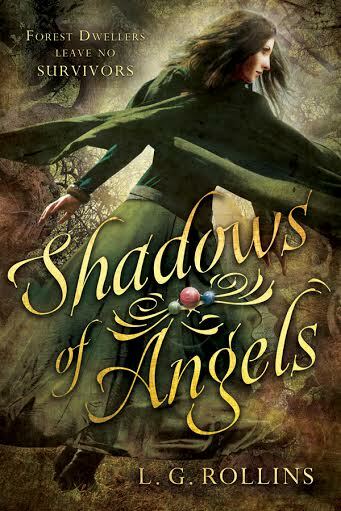 After the forest dwellers destroy her home and kill her father, Aerbrin sets off on a journey to find the truth about her people, her kingdom, and the mysterious Zaad stone that contains a power she never imagined. Magic and mystery join forces in this intriguing fantasy world. Full of shifting alliances and twists you won't see coming, it's a can't-miss read. L. G. Rollins grew up in a far off land fighting dragons, stealing talismans, and traveling with dwarfs and elves. She is especially skilled at bribing giants with sweets. Currently, her husband and four kids live in Utah so that is where she spends most of her time. She may, or may not, have a Zaad Stone. To learn more about L. G. Rollins and her books visit LGRollins.com. Laura Rollins is an avid dessert creator, fiction writer, and probably Lucille Ball's biggest fan ever. She homeschools her four young children and finds the kitchen a perfect place to teach them math - 1/2 cup plus 1/2 cup equals a full cup - science - add the lemon juice to the sugar because the acid is necessary for the sugar to melt - and, of course, manners - please don't grab the beater from your brother, I'll get you a spoon of cookie dough instead. While Laura enjoys all forms of cooking, baking, and any other culinary expression known to man, her heart always leads her back to deserts, treats and the sweet things on the table.